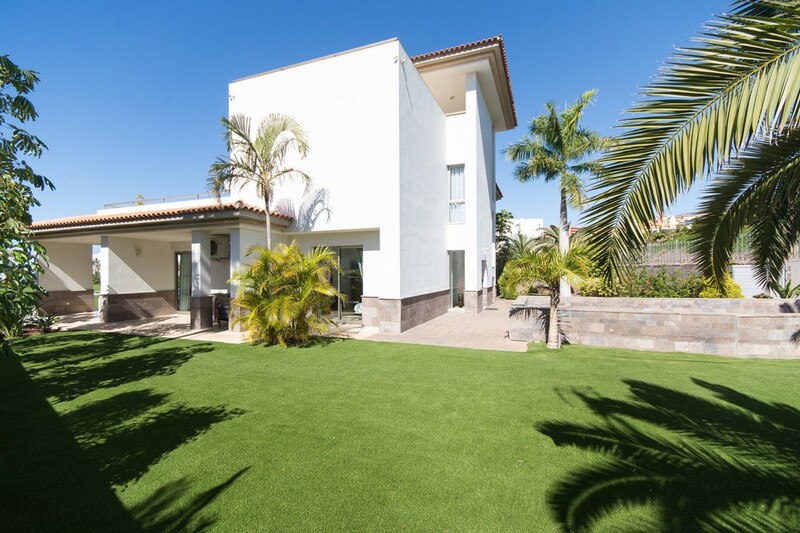 This luxury Tenerife Villa is set over 4 levels and sits in approximately 600m2 of its own landscaped gardens with private swimming pool. 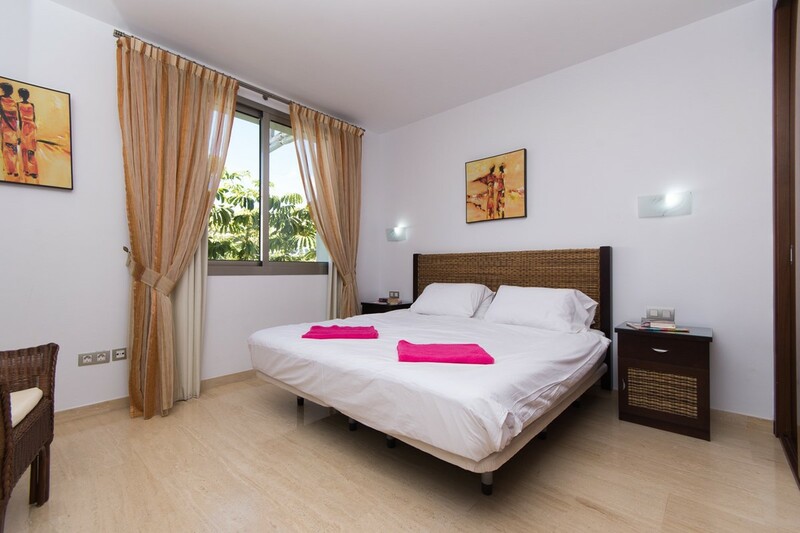 On entering you will be immediately struck by the spaciousness of the open plan, air-conditioned living area. 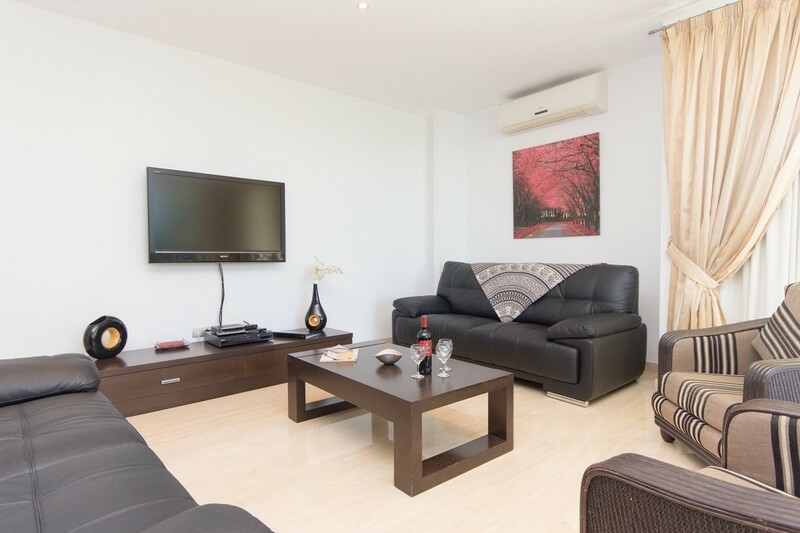 In the lounge of this Tenerife villa there are 2 sets of patio doors leading onto the poolside patio and garden, flat screen TV with digital satellite receiving BBC 1 & 2, channel 4 & 5, sky free view with the option of bringing your own sky card from the UK. 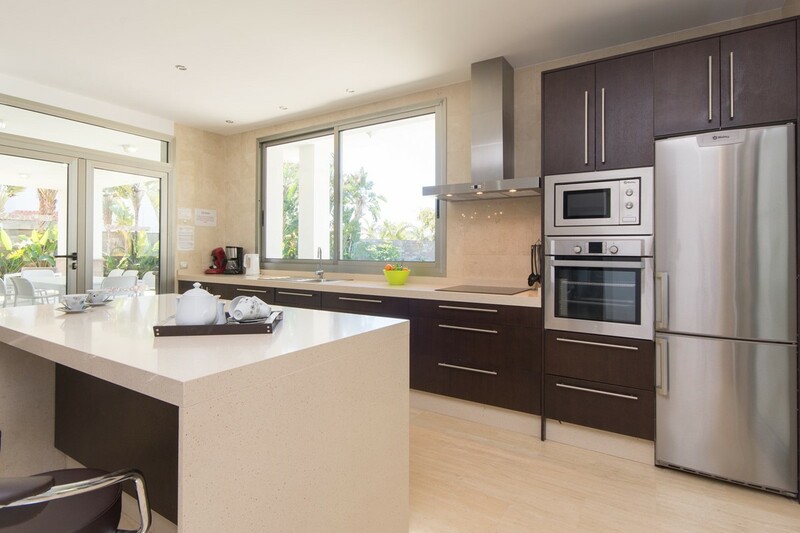 The integral kitchen of this Tenerife villa is fully fitted in chrome and dark wood comprising of all essentials such as kettle, toaster, coffee machine, fridge/freezer, waist height oven, microwave, ceramic hob and extractor and a dishwasher. For dining there is an extendable table that will comfortably seat 10 and a free-standing breakfast bar with stools. 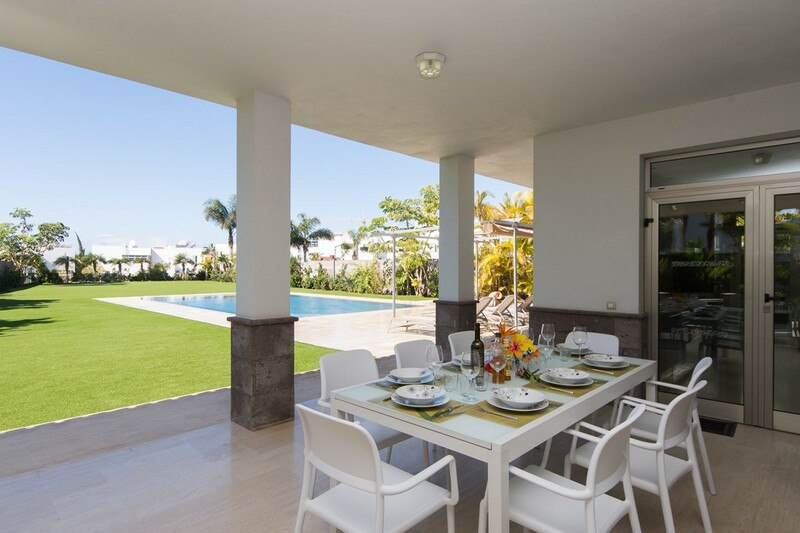 Prepare to be amazed at the vast size of the outdoor area in this tenerife villa with covered patio offering sofas to relax in and an ample al-fresco dining area where you can serve food cooked on the charcoal BBQ. In the afternoon, lie by the clear water of the pool on the bathing area or take advantage of the extensive lawn. 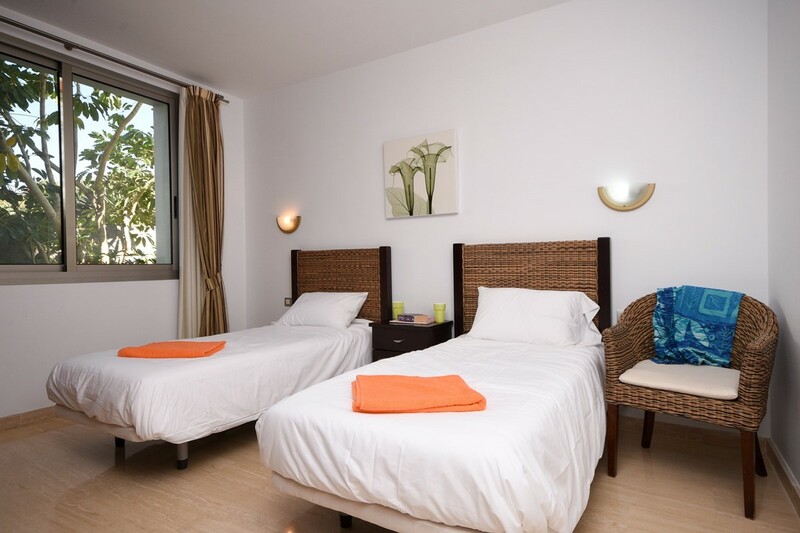 Also on the ground floor of this Tenerife villa there are 2 twin bedrooms with fitted wardrobes and the main bathroom with WC, bidet, double sinks, bath and a separate shower cubicle. 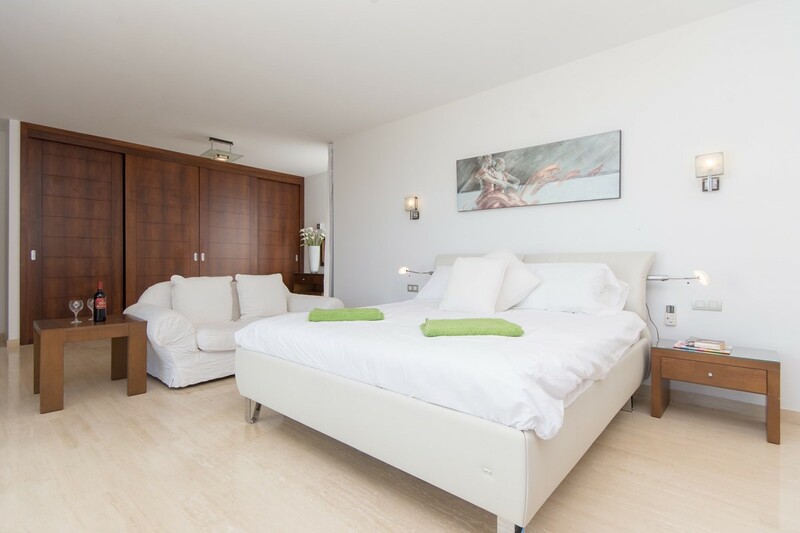 Moving onto the 1st floor of this Tenerife villa, you will find the master bedroom which is easily the largest room in the house. A super king-size bed dominates the space but there is still plenty of room for a sofa to relax in and a dressing area with fitted wardrobes and an en-suite bathroom with double sinks and separate shower. 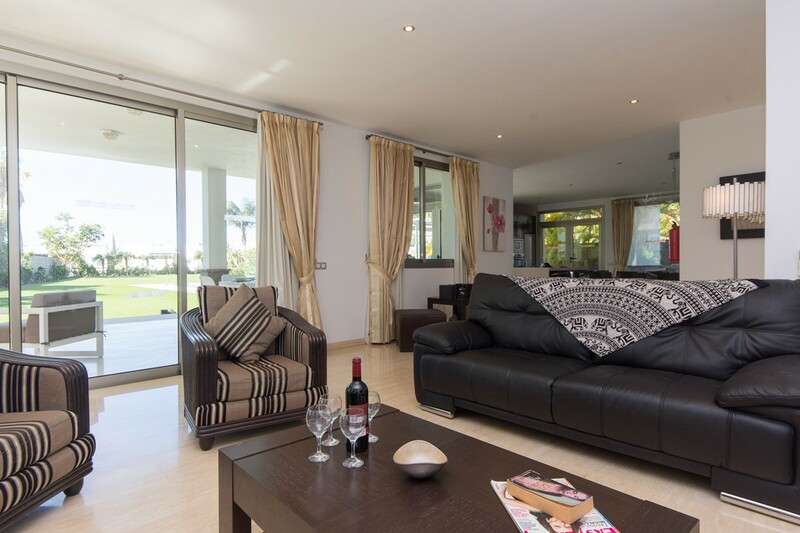 It doesn’t stop there; this room is air conditioned and has huge patio doors leading out onto its own private terrace with views of the pool of this luxury Tenerife villa, garden and the wonderful sunset out to sea. 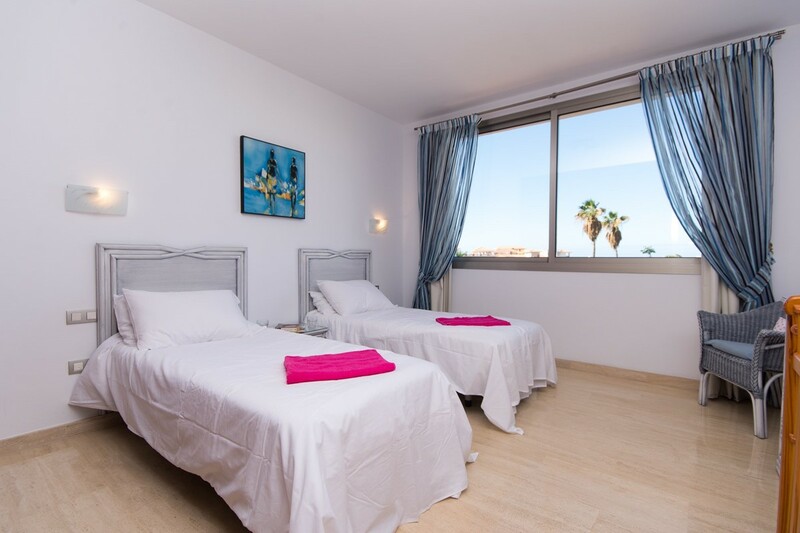 Still on the first floor of this amazing Tenerife villa, there are another 2 double bedrooms, one with king size bed and large en-suite bathroom the other with twin beds and separate shower room. 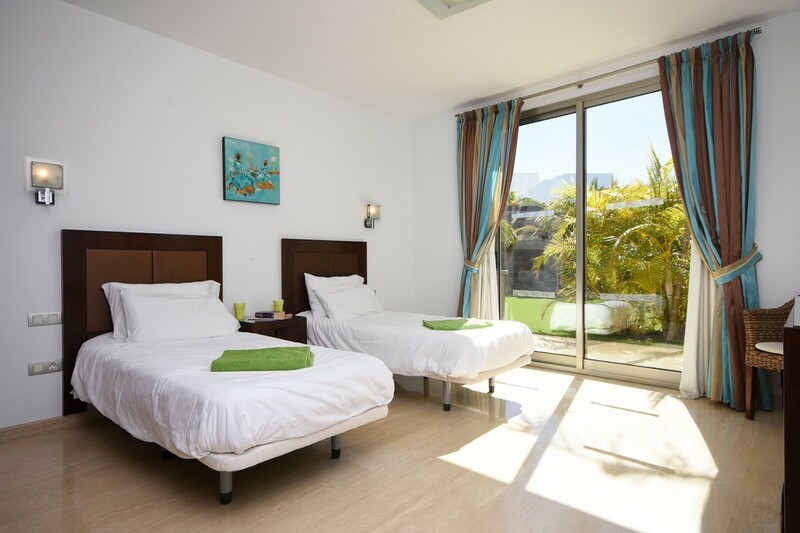 What is interesting about this part of the Tenerife villa is it’s almost self-contained with a door leading from the main landing into a passageway connecting these rooms where you will find another air conditioning unit and a terrace. 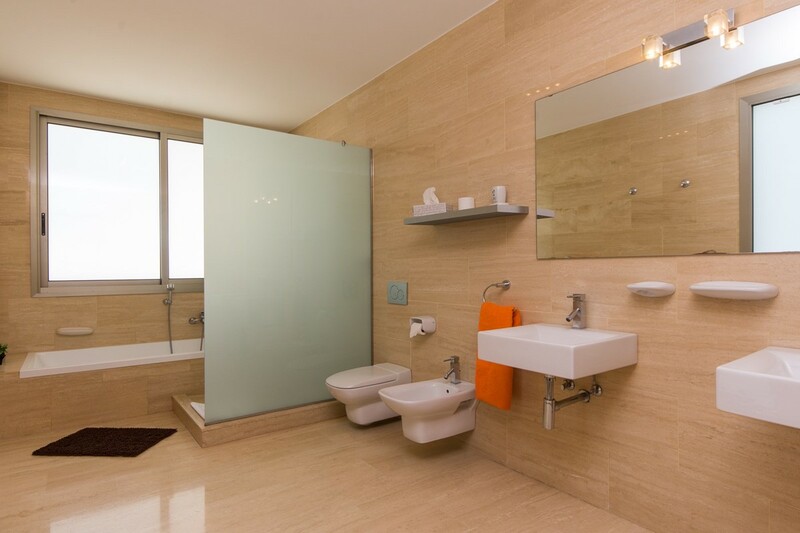 Ideal for the family who want a bit of privacy. 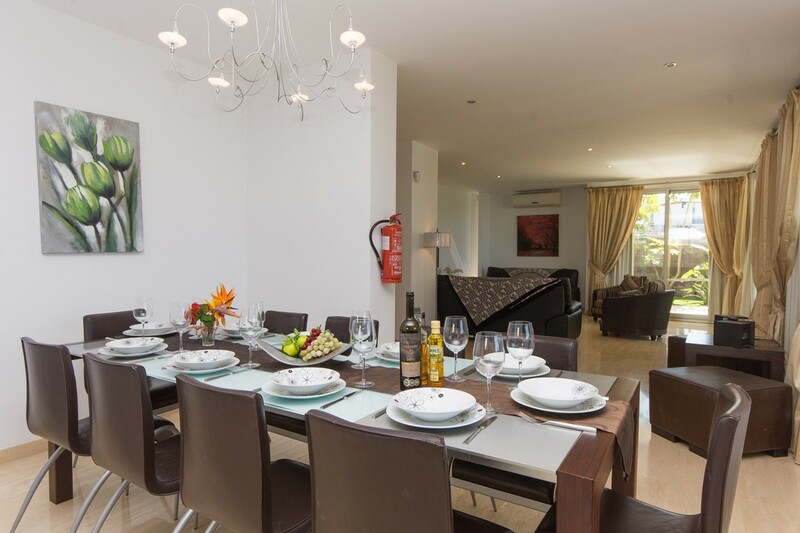 Up onto the 2nd floor of this tenerife villa and the roof-top terrace. 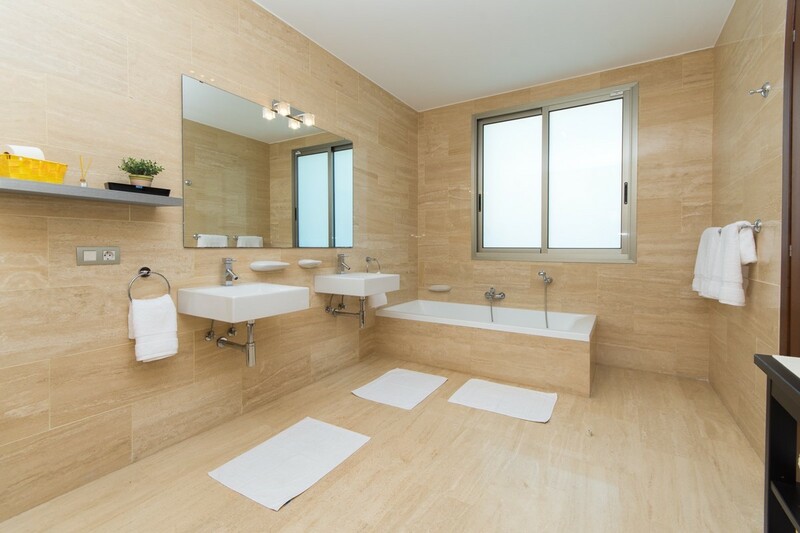 Here you can get everyone together to enjoy some snacks, play a game of table tennis before cooling off under the outdoor shower. 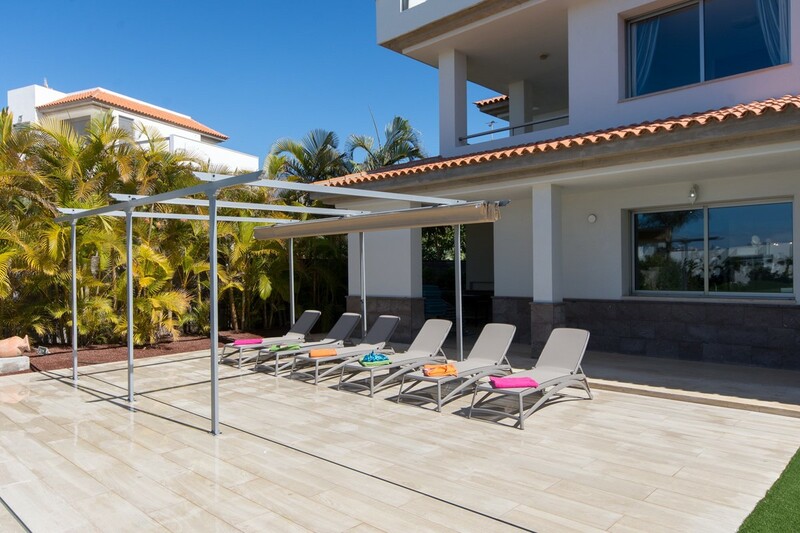 Afterwards hop onto a sunbed and drink in the fantastic panoramic views while soaking up the sun till the very last drop has faded from the sky. 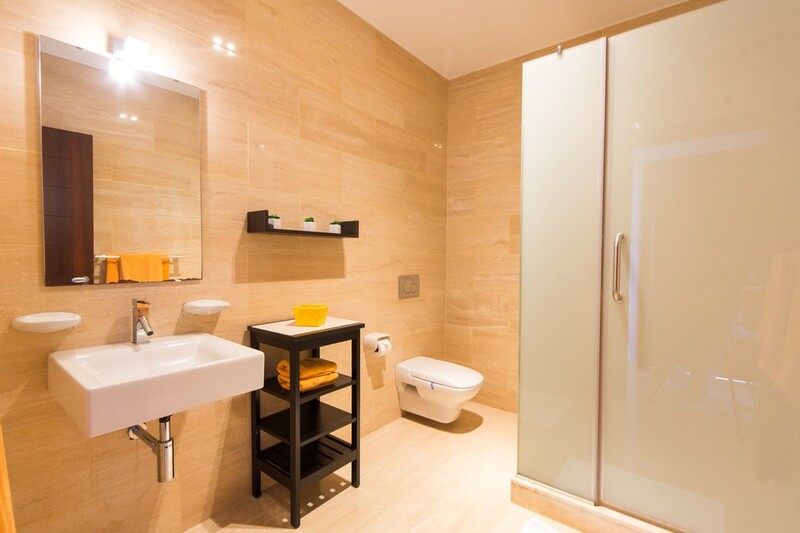 In the basement of this Tenerife villa you will find the laundry room with washing machine, clothes airer, iron and ironing board. We have installed a safety deposit box in this room also. From the entrance of the villa you can access the basement garage with space to park 2 cars and more.